Now in its 15th edition, the awards celebrate the most innovative, creative and successful work from the label and package printing industry across the globe in the last twelve months. The 2018 award ceremony brought together 330 distinguished guests featuring some of the biggest names from the international label community, and those working behind the scenes to constantly innovate and push this dynamic sector forward. The Award for Innovation (for companies with up to 300 employees), sponsored by Flint Group Narrow Web, was presented to Hamillroad Software for its new product solution, Bellissima, which combines the best-of-breed technologies of plate, anilox and screen. The system is a set of Digitally Modulated Screens (DMS), developed and optimized specifically for flexo. Imaged at 4,000dpi, Bellissima provides a high level of image reproduction (over 300lpi equivalent), with no screen or content moiré. The Award for Innovation (for companies with more than 300 employees), also sponsored by Flint Group Narrow Web, went to RotoMetrics for its RotoRepel, a revolutionary non-stick coating that's available on its solid and flexible cutting dies. This technology minimizes adhesive pick-up and transfer and has resulted in significant benefits, including: Improved press efficiency, presses running faster, significant reduction in downtime, longer tool life, waste reduction and lower tool costs. Avery Dennison won the Award for Sustainability, sponsored by Labels & Labeling magazine. Avery Dennison partnered with EcoVadis, a leading sustainability performance rating solution, to operate a collaborative dashboard providing sustainability ratings and performance improvement tools for their global supply chain. The platform delivers simple and reliable scorecards to monitor supplier best practices. A total of 21 internationally recognized sustainability criteria are reviewed and separated into four criteria themes: environment, social, ethics and supply chain. The final award of the night, the R. Stanton Avery Pioneer Award, which was previously announced in June, went to Alex Knott, of the Dow Chemical Company. This award, sponsored by Avery Dennison, honors the contribution an individual has made which has really impacted the label and package printing sector, whether their pioneering work has spanned two years or two decades. Knott is a senior scientist in the company and leader of a global team that has pioneered the latest innovations in pressure-sensitive silicone release liner coating technology, including the introduction of Dow’s Flat Release Systems. This technology has not only revolutionized high speed, low coating weight, high performance and labelstock release liner production, but has also been a key factor in helping to drive down silicone coating costs. For the label converter and end-user, this has contributed to superior waste stripping performance at ever-increasing press running speeds, as well as enabling much higher label application line speeds on the latest automated product decoration systems. This work has helped build Knott’s global reputation as a leading authority on silicone pressure-sensitive systems. He joins fellow winners of the individual award including: Professor Tan of PEIAC, Tomas Rink of Ritrama, Helmut Schreiner of Schreiner Group, Suzanne Zaccone of GSI Technologies, and Neil McDonough of FlexCon. 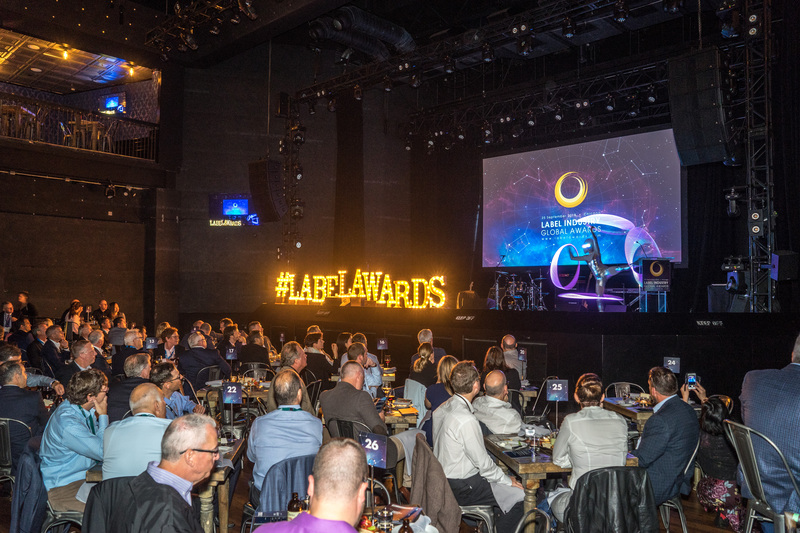 For more information about the Global Industry Label Awards, visit www.labelawards.com. Photos of the Awards are available at www.labelawards.com/photos. • Phoseon Technology (booth 940). Copyright © 2018 Tarsus Group. All rights reserved. | Privacy and cookies.